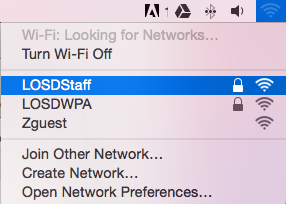 To join the district's Wifi, please follow the directions below. 3. When prompted, enter your district provided credentials and click "Join"
4. When prompted to accept the certificate, click "Continue"
You should now be connected to the district Wifi.